How many parents struggle with the bedtime routine? There may be toddlers who swear they are not tired, babies who are fussy and simply don’t want to be laid down, and even older kids who defy you at every turn. What can you do? We have a few tips that can help you do just that! Too many people think that all their kids should go to bed at the same time. This is not always the case! Some kids simply require more or less sleep. It is important to note just how much sleep your child needs along with what time they get up. Remember this, those who are early risers are probably still going to get up early, even if you push their bedtime to a later time. It is all about working with their bodies and what works best. If you have always given a child a bath, read a book then put them to bed, stick to this. 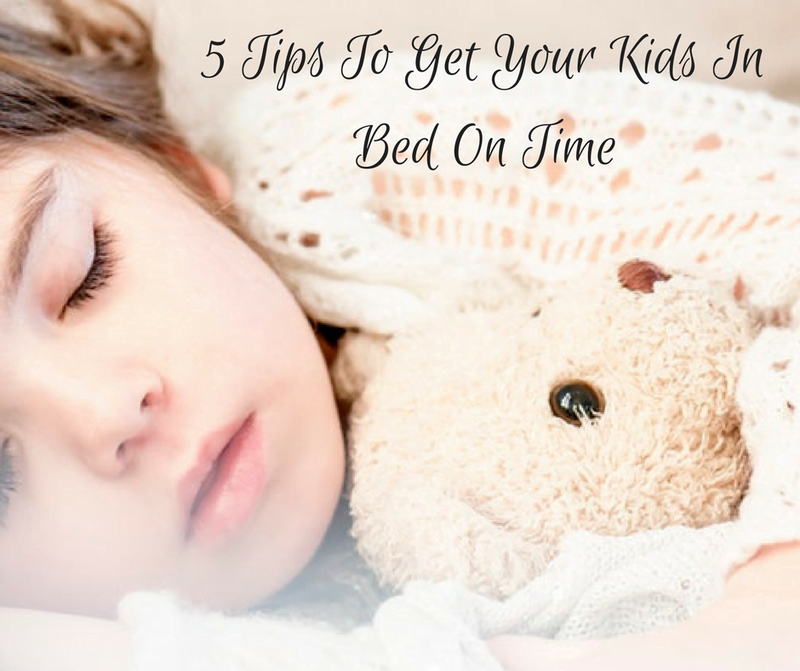 You will find that this ordinary routine is one of the best ways to get kids to settle down and get to bed at the time that you have chosen. One of the best ways to help your children get to bed on time is to keep before bed activities calming. Avoid electronic devices for at least 2 hours prior to bed, and make sure that whatever they are doing is calm and quiet. This helps a child to naturally calm down and be ready for bed. Kids are not only going to sleep better when they are calm but also when they are cool. If the room is too warm, they will toss and turn. Most people aim for a bedroom that is 70 degrees or cooler. This way the body’s natural melatonin levels kick in. Many toddlers have a stage in which they are afraid to go to sleep in their rooms. Often, they have an irrational fear of monsters or something happening. As a parent, you need to talk with them and find out just what they are scared of and reassure them. Some parents take a few extra minutes to spray the room for monsters! It’s a great idea, just have a spray bottle with water and a few drops of lavender essential oil. Not only does it help a child know that no ‘monsters’ are there, but lavender is naturally relaxing and can help a child to go to sleep.